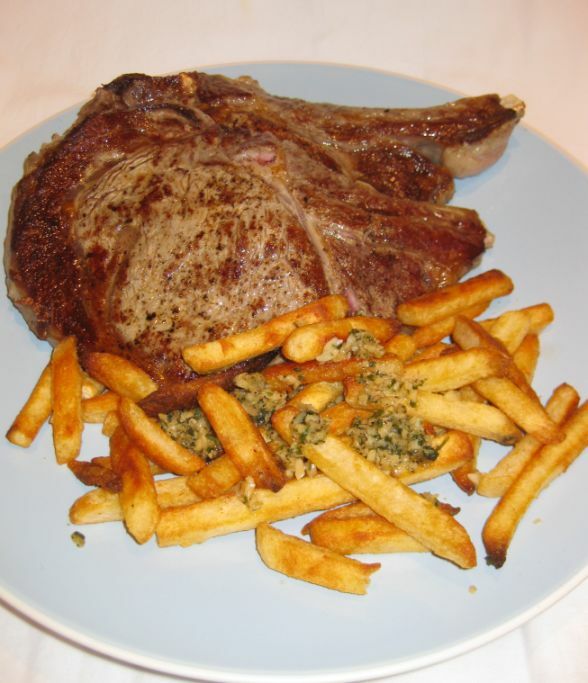 The rib eye or ribeye is a beef steak cut from the rib section. 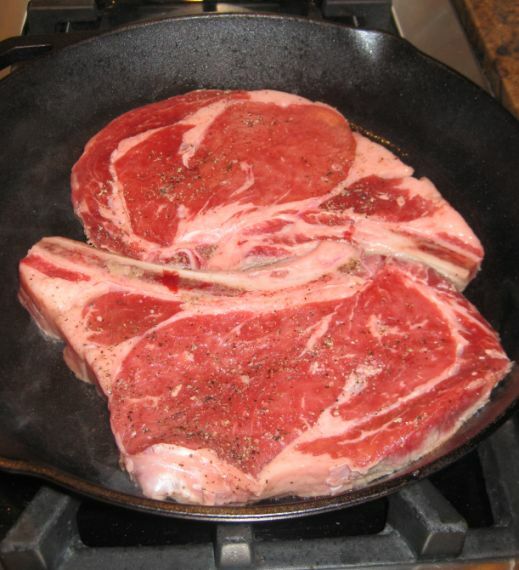 The extra fat makes the ribeye steaks especially tender and flavorsome and that what our family like! We enjoy the flavor from the fat part of the ribeye. 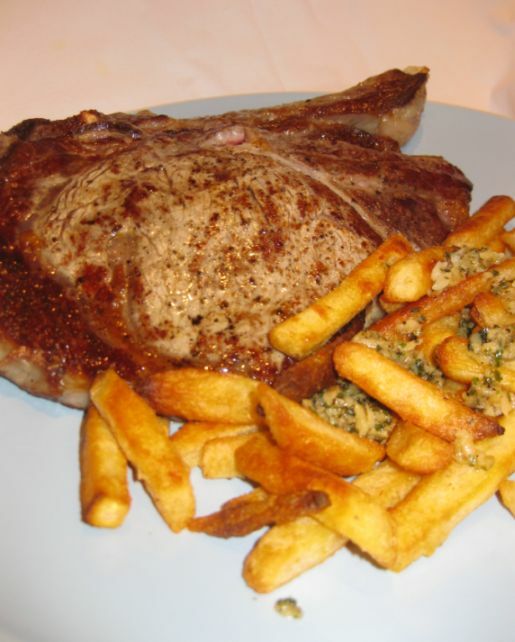 Ribeye is one of the most popular cut because it is juicy, tender, flavorful but quite expensive steaks on the market. The ribeye can be cut boneless or bone-in. 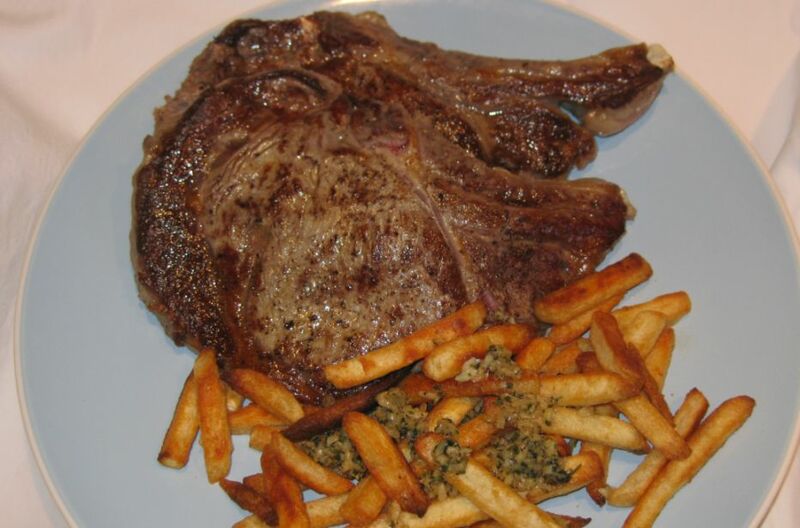 A "bone-in ribeye" is sometimes called a "cowboy ribeye" and this is what I have here. I like the bone in the ribeye because the fat alongside the bone adds extra moisture and it does also enhance the flavor of the meat. The Garlic French fries are from Trader Joe's and they are excellent! All you need to do is to put them in the oven for 20/25 minutes and then mix the garlic sauce into the French fries.. Simply yummy. If you buy a good piece of meat then I don't think you should not drown the meat in a marinate sauce. All you need to do is sprinkle some salt and pepper on top of the meat and that is it, because you want to taste the flavor of the meat and not the marinade. Again this is a question of taste. 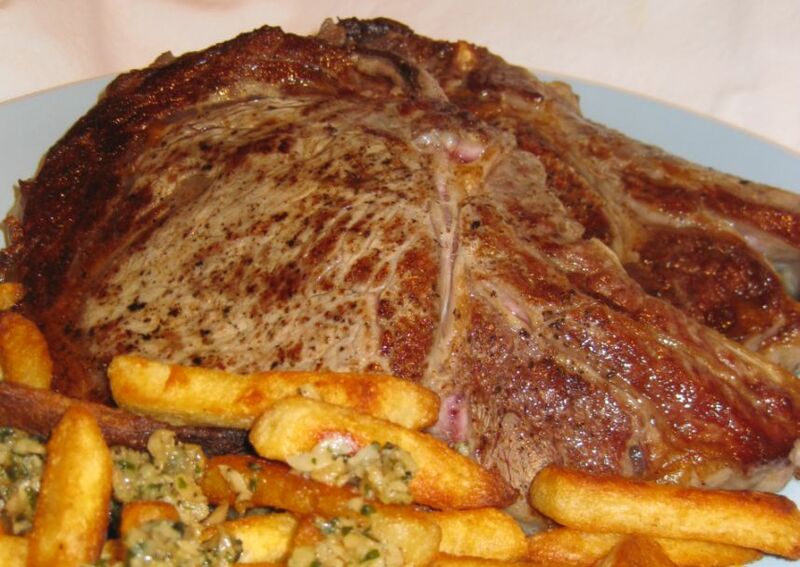 We share these 2 huge steaks ( 1 pound each) among the 3 of us and we could not finish it. No problem, I saved the leftovers for a steak quesadilla for the next evening. Make sure that your steaks are room temperature! Add salt and pepper to your steak and set aside. Heat an oiled pan until it is super duper hot that you can see a bit of smoke raising from the pan. 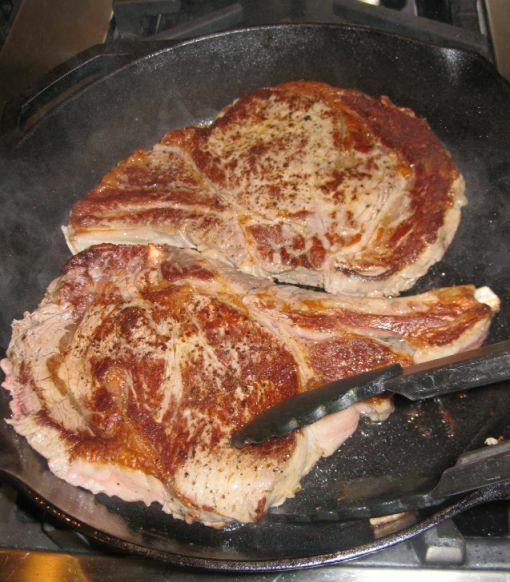 Add your steaks in the pan and leave it for 2 to 3 minutes to get a nice caramelized crust. Turn the steaks to the other side and let it cook for another minute or 2. Again depending on your preference!